Why work for Campus Recreation? 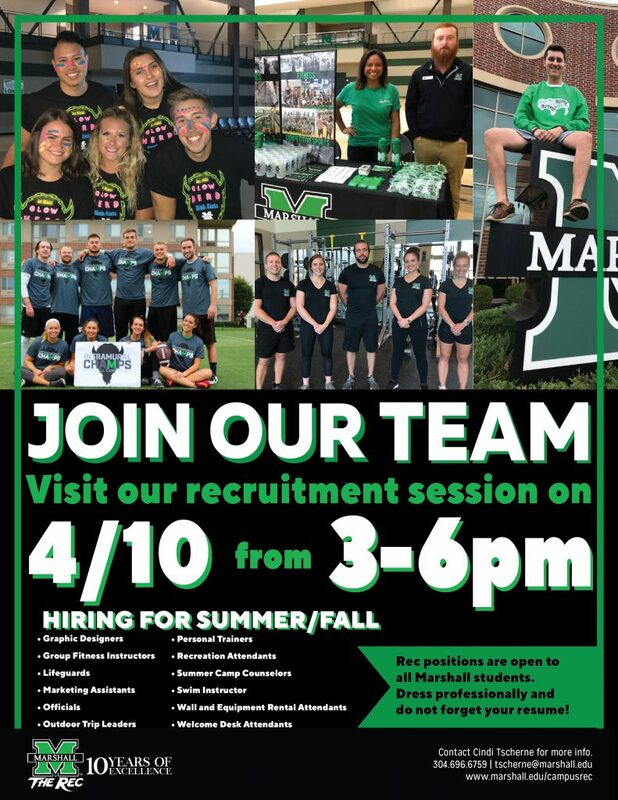 Marshall Rec offers so much more than just a job! We support you in your coursework through practical experience with conflict management, supervision, management of programs and services, working in a team environment and performing quality customer service. 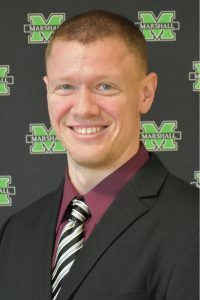 All skills that will help you move to the front of the line in any job search after your time at Marshall University. All in a social and exciting atmosphere… and yes, you get PAID too! Visit the Job Portal and begin the application process. Please note that a cover letter and resume will be required. Resources for cover letters and resumes can be found at the MU Career Center. USE THEM! Preparedness comes through in your materials, be sure they reflect well upon you. Foster A Positive Work Environment. Staff will strive to communicate openly and positively, encourage a team atmosphere, build trust and create a joyful place to work and play. Promote Diversity. Staff will create an environment that values, embraces and encourages individual differences between employees and patrons. Provide Outstanding Customer Service. Staff will provide efficient, effective and friendly service toward each and every patron. Engage Community Outreach. Staff will embrace and promote our interdepartmental teams, university departmental partnerships, government entities, local businesses and community partners to the benefit of our patrons. Be Fiscally Responsible. Staff will inspire ownership in the department by responsibly operating in a fiscally, ethically and safe manner. Remain Student Focused. Staff will passionately promote personal growth and academic achievement. The Marshall Recreation Center team is dedicated in hiring the best of the best.